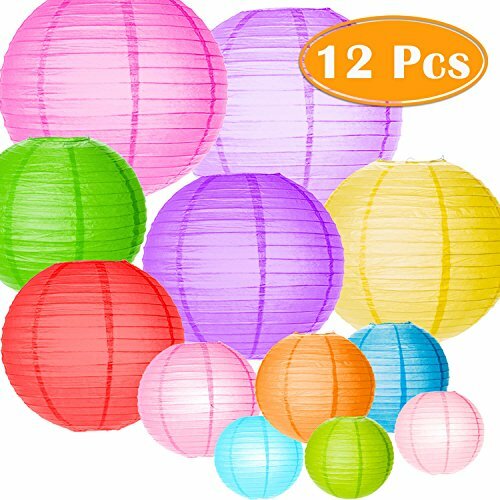 Our paper decoration set includes 12pcs assorted sizes colorful paper lanterns which are pre-folded for hanging and detailed instruction is included. Just be ready for you to follow the simple instruction to bloom your lanterns. When you have finished, they will be beautifully round and full. Size: 4"/ 6"/ 8"/ 10"/12"